Coconut ingredients gently cleanse the hair with rich nutrients and Botanical Extracts. Vitamin E and Vitamin B Complex create beautiful hair full of health and radiance. 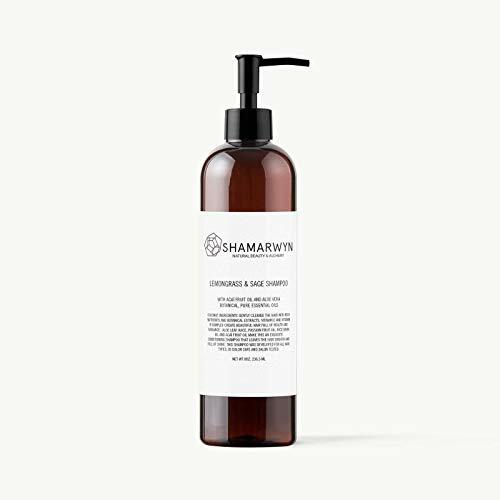 Aloe Leaf Juice, Passion Fruit Oil, Rice Bran Oil and Acaí Fruit Oil make this an exquisite conditioning shampoo that leaves your hair smooth and full of shine. This shampoo was developed for all hair types, is color safe and salon tested. Acaí Berry Fruit Oil contains zinc which helps to strengthen the hair from the root. Acaí has the anti-aging fatty acids, omega 3,6 and 9 which can help keep your hair strong and prevent thinning. Aloe Vera has many vitamins and minerals that nourish the scalp. Aloe Vera improves blood circulation. It will increase blood flow and provide better nutrition to the cells, promoting hair growth and improving the function of the hair follicles. Aloe Vera helps prevent dryness in the scalp without leaving a greasy or oily feeling. Aloe Vera is also anti-fungal, helping your scalp get rid of annoying dandruff and flakes. As an added benefit, it makes your scalp feel refreshed! Made with a special blend of Lemongrass and Sage Pure Essential Oils. Lemongrass has cool, refreshing, antiseptic qualities to stimulate the scalp and help encourage healthy hair growth. Sage can help combat dry scalp and dandruff and balances the sebum level of the scalp.